Blog Electric Car Threat To Big Oil Wildly Overstated? Electric Car Threat To Big Oil Wildly Overstated? Is the Electric Car Threat To Big Oil Wildly Overstated? It depends on who you ask. Many of the reports published that cover oil consumption and how quickly consumers will embrace Electric Vehicles (EV) paint a far rosier outlook for the future of oil than the facts dictate. The reason is simple; most of these reports tend to be written or sponsored by big oil and so they tend to be biased. We are not stating that this is the end of oil, but its glory days are probably behind it. 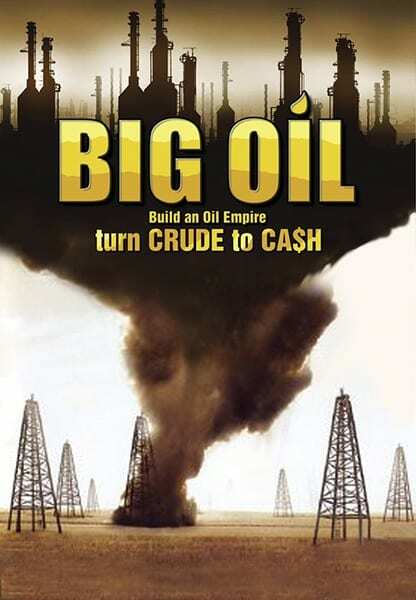 One thing is obvious; the peak oil theory experts are and were always full of rubbish. In fact, we penned several articles over the years covering this issue the latest of which was titled “peak oil debunked”. John McElroy from Wards Auto penned an article where he states that several Experts at recent CES show stated that the DOE’s target of $125 per KW hour by 2022 might be conservative. They felt that the costs would drop below $100 before 2020 and shortly after that to around $80 per KW hour. 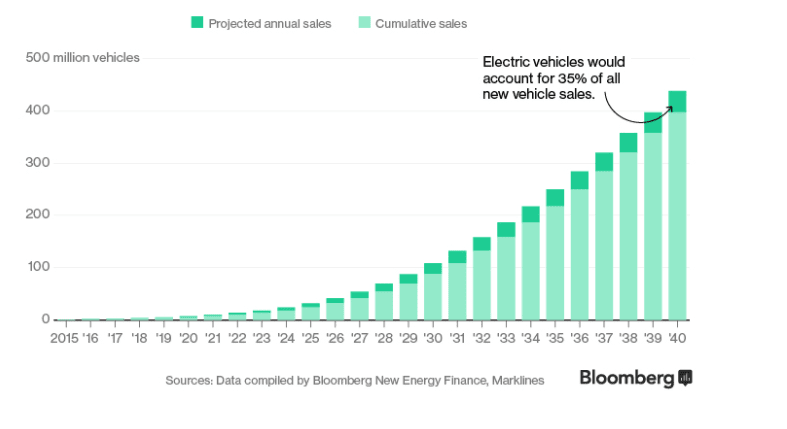 Bloomberg goes on to state that by 2040, 35% of all vehicles sold would be electric, but this figure might be conservative. If battery prices drop to below $100 per KW hour, then traditional cars could face stiff competition. Many experts believe that at $100 per Kwh is the point where the cost of the electric car becomes cost competitive with today’s internal combustion vehicles. Lithium ion battery prices are now below $140 per KWh. Given the speed at which battery prices have dropped over the past six years, $80 could turn out to be a conservative target. If a price of $100 per kWh makes the EV competitive with today’s vehicles, then it appears that EV’s could put pressure on Big oil and the conventional auto industry a lot sooner than most experts are predicting. If such cost efficiencies are being achieved in 2017 and battery makers in China can still make a profit, it stands to reason that prices could easily drop another 50% between now and 2022. 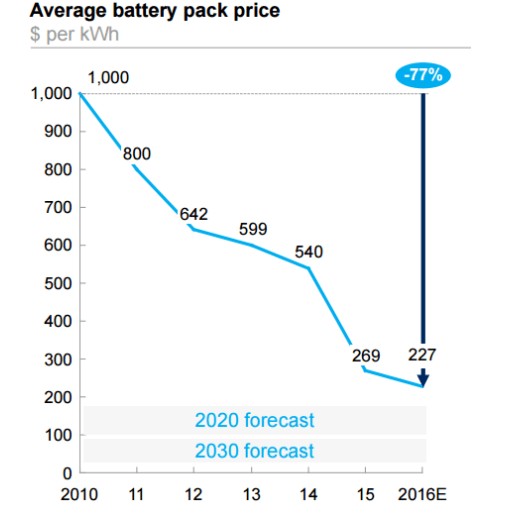 In fact, we feel that battery prices will probably be trading below $80 by 2020. Given the speed at which computing power is expanding every year, it is almost a given that engineers will find new ways to improve the efficiency of today’s battery while lowering its cost. Look at any new product; the initial cost was always high, but once mass production started, the cost plummeted. New technology that’s gaining traction is nearly always disruptive, and those that fail to recognise its force are usually wiped out. Big oil assumes that demand will continue to rise due to higher automobile ownership globally. What they fail to recognise is that in the years to come, more individuals might opt for an EV as opposed to a car with an internal combustion engine. EV technology has been around for a long time (over 150 years), but it never advanced because of its prohibitive cost. The cost has dropped, and EV’s have finally broken the 200-mile range barrier. With technological advances, the cost will continue to drop, and the range will continue to rise. Big auto understands that change is coming and it’s coming fast; from Nissan to Ford, auto manufacturers are spending billions gearing up for the future as they seem to understand that price is the only factor preventing many from embracing an EV. Ford is going to spend $4.5 billion from 2017-2020 on EV development. It is projecting that its electric SUV will have a range of 300 miles. Big Auto would not be spending billions if it did not foresee a massive change in the years to come. Big oil could be facing a tumultuous future. However, this does not mean that oil prices are going to tank overnight. In Feb 2016, when oil was trading well below $30.00, we penned two articles on oil one in January 2016 and one in Feb 2016 where we stated that oil was likely to bottom and trend upwards. While the outlook for big oil is not very bright in the long run, in the intermediate time frames, oil could continue to trend higher as it is still cheaper to buy a conventional oil powered car as opposed to one that is powered by a battery. Smart phones were almost unheard of 10 years ago; they were very expensive and clumsy. Today the prices have dropped so much that almost everyone has a smart phone. Most people could not imagine living without one. Could the same thing hold true for the electric vehicle of the future? Time will tell, but history proves that new technology is embraced the moment it becomes affordable. So is the Electric Car Threat To Big Oil Wildly Overstated? There is a good chance that big change is in the works. The most expensive component of an EV is going to continue dropping at a very rapid clip.